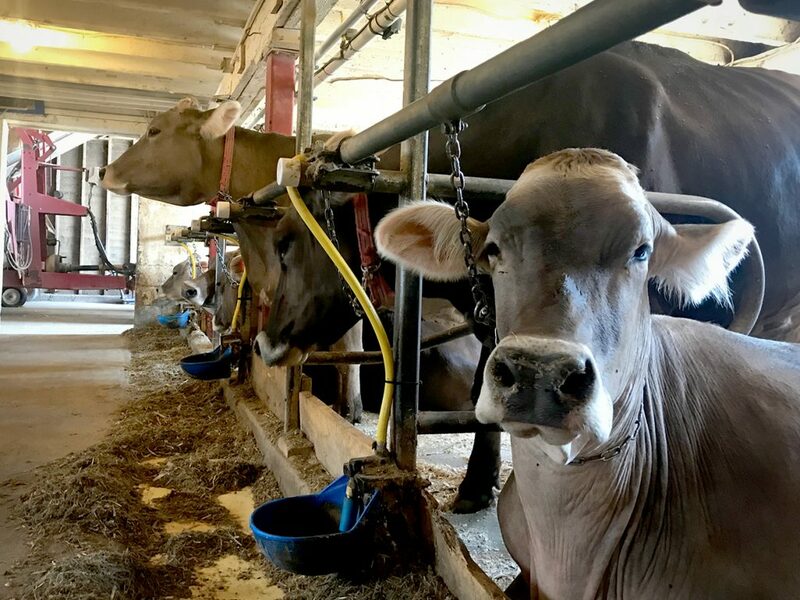 What’s it like to be a cow on a Hudson Valley Fresh dairy farm, you ask? Our farmers strive to ensure that the cows in their herd are healthy, free from pain or discomfort, and are as comfortable and stress-free as possible. Every day throws new challenges at our farmers – be it due to the weather, having to get work done in the fields, or something breaking down at the absolute worst time – regardless of these challenges though, a good farmer always puts his or her cows first. On our farms, cows are milked twice per day, roughly twelve hours apart. Most milkings start between 3 and 4 AM. Our animals are grouped together by age and status in order to manage them better and feed them more accurately for their physiological requirements. In the mature herd this means the milking group is kept in one group, while the dry cows are kept in a separate group. What’s a dry cow? A dry cow is a mature cow who has had a calf in the past but is not currently producing milk. Cows need to have a calf in order to start and keep producing milk, but between having calves, and after being milked for about 10 months out of the year, they are “dried off” and given a 2 month break from producing milk. This break usually involves a fresh pedicure by the hoof trimmer and lots of rest and relaxation. How do we keep so comfortable? For starters, each stall has a comfy mattress topped with shavings to absorb moisture. It’s not a Queen-sized Serta with thousand count sheets, but the cows enjoy them just the same. Keeping these stalls not only comfortable, but clean and as dry as possible, is a huge factor in producing a premium quality milk. FUN FACT – One of our farms actually uses sand for bedding – what’s more enjoyable than lying on the beach? Lying time is an important measurement that our farmers take note of – cows on our farms lie down for over 10 hours a day, which is just how we like it! While cows only sleep for two to three hours a day, a 1400 pound animal that is lying down is able to put more energy into producing a higher quality milk and more of it! Another important part of keeping cows comfortable has to do with the environmental temperature. Cows have thick skin, which means they prefer colder temperatures and dislike the summer time heat and humidity. Our farmers help keep the girls cool by providing lots of fans, plenty of water, and sometimes use sprinklers and evaporative cooling as extra measures. When cows are hot, you can tell – they pant, stick their tongues out, and they often don’t want to eat as much, which means their milk production goes down. We therefore find it very important to keep the barns cool and animals out of the direct sun as much as possible. We’ve talked about comfort a lot. How do we keep the cows healthy? A lot of it has to do with the same reinforcement of close monitoring, and preventative holistic care. Our farmers work with these animals every day, from 3 AM often until well past dark. 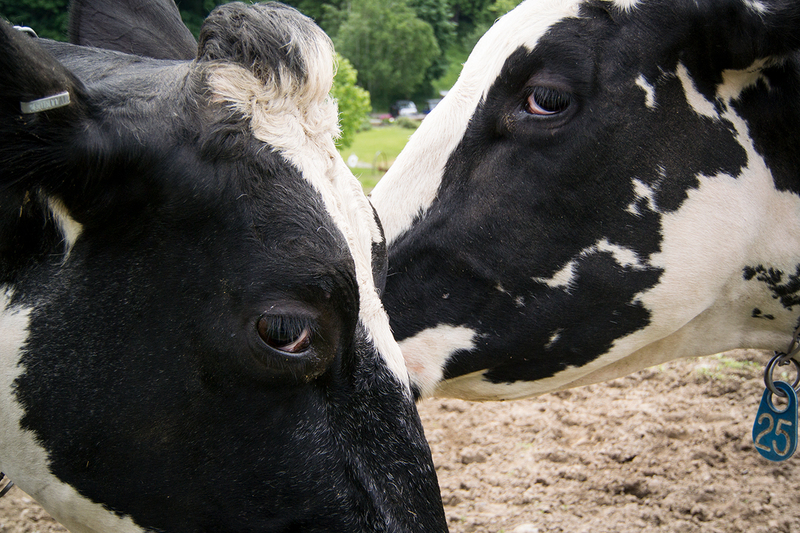 If something is off in their behavior, feed intake, or gait, our farmers recognize it. 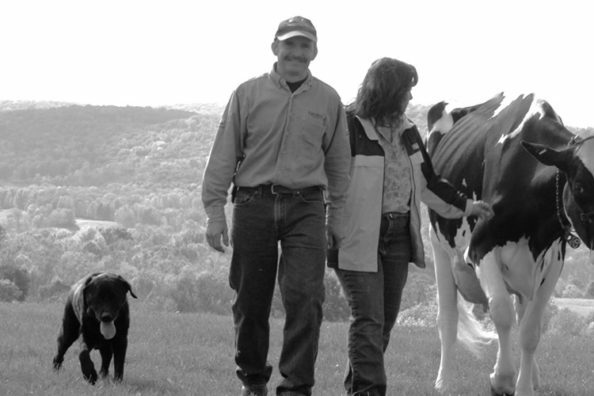 It’s not just any one individual, though – successfully managing cows is a team effort. 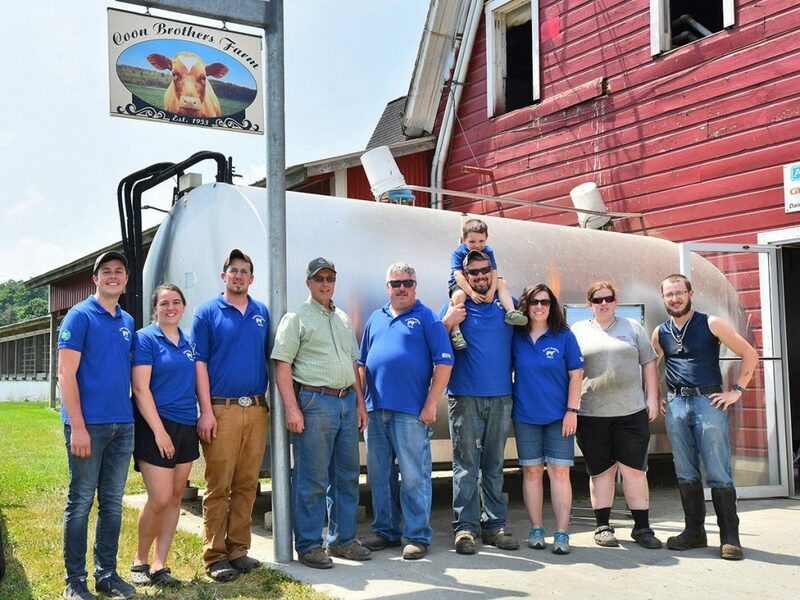 Our farms have teams, including family members and often employees that are treated like family members, that are all on the same page when it comes to having high quality standards and putting cow care first. We also work regularly with licensed veterinarians and highly trained dairy nutritionists (dieticians for cows) to ensure that holistically, we are aware of everything we can be of what is going on in the herd and how we can do better. Whenever a diet change or a homeopathic method of remediating something is an option, we are all for it. Do you still have more questions? Reach out to us to talk to one of our farmers, or better yet, meet one of our farmers in person! 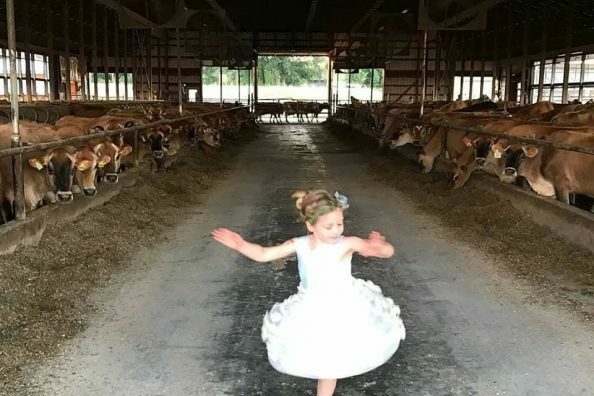 Several of our farms will be hosting Open Farm Days this Fall where you can get a tour of one of our farms, meet the cows, and maybe even enjoy a hayride with a scenic Hudson Valley view. You can also always find us at the Dutchess and Columbia County Fairs, where we can talk about our passion over a fresh, Hudson Valley Fresh milkshake from the 4H booth. 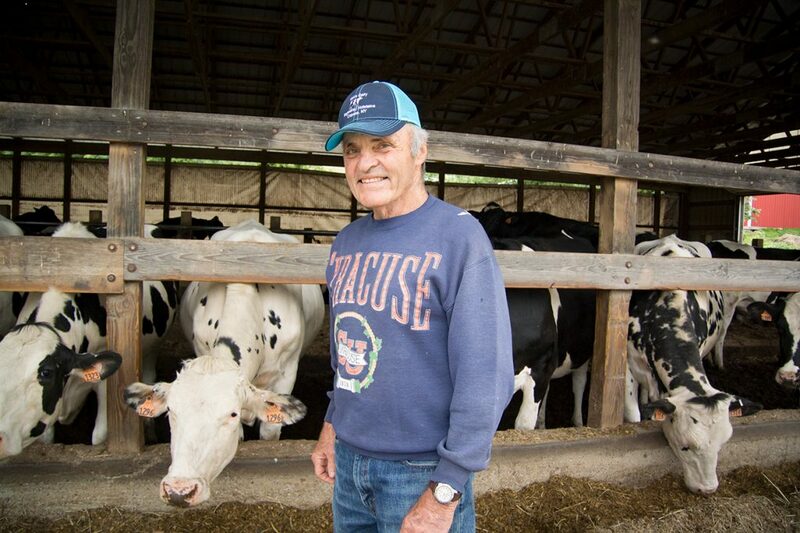 As your neighbors, as fellow parents, and as fellow members of your community, we look forward to talking about what we are passionate about with you in the future – producing premium quality milk and farming in the Hudson Valley!